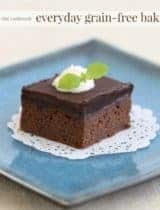 These mini two-bite paleo, vegan and gluten-free brownies are puffed around the edges, chewy in the middle and loaded with fudgey chocolate flavor. 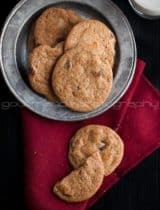 Brownies are like chocolate chip cookies, they’re a welcome addition to almost any occasion and you’d be hard pressed to find someone who will pass one up. 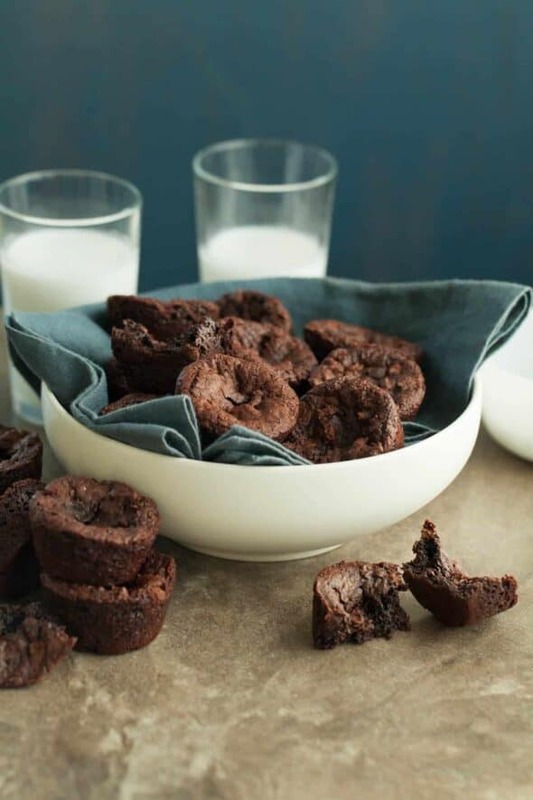 Let’s face it, resistance it futile in the face of a fresh batch of brownies, each bite packing an intense hit of fudgey flavor, and these mini brownie bites are no exception. 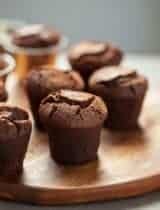 The size of a mini muffin but with all the chocolatey goodness of a full-sized brownie, these little two bite morsels are the perfect sweet treat to satisfying your chocolate cravings. They’re substantial enough to satisfy in a couple of bites, yet small enough to reach for seconds. 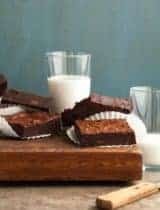 The bites have all the great parts of a traditional brownie going for them: crackly edges, chewy centers and gooey bits of melted chocolate while remaining bite-sized, making them eminently snackable. Puffed around the edges the brownie bites sink down lower in the middle thanks to their rich and fudgey centers. 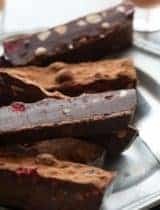 Like most brownies, they’re a one bowl, melt, stir and bake number making them an anytime treat you probably already have the ingredients for in your pantry. 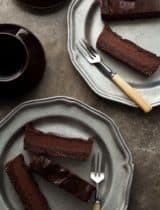 The combination of melted chocolate and cocoa powder give the brownies a rich and intense chocolate flavor throughout, while a generous handful of mini chocolate morels create melty pockets of deliciousness. When done they should be slightly puffed around the edges but still a little soft in the centers. You’ll want to exercise the utmost patience and allow these to completely finish cooling in order to set properly before biting in, although I’ve been known to falter occasionally in that department. Preheat the oven to 350° F. Grease a mini muffin pan with coconut oil. Combine 3oz of the mini chocolate chips and the coconut oil in a large heat proof bowl set over a small saucepan of simmering water. Stir until chocolate is melted. 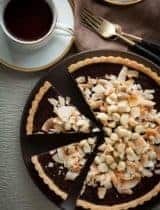 Remove from heat and whisk in applesauce, coconut sugar, vanilla extract, pinch of salt, cocoa powder and baking soda. Stir in coconut flour and almond butter and beat until well incorporated (batter will be thick). Let batter rest for 10 minutes. Stir in the remaining 1oz of chocolate chips. 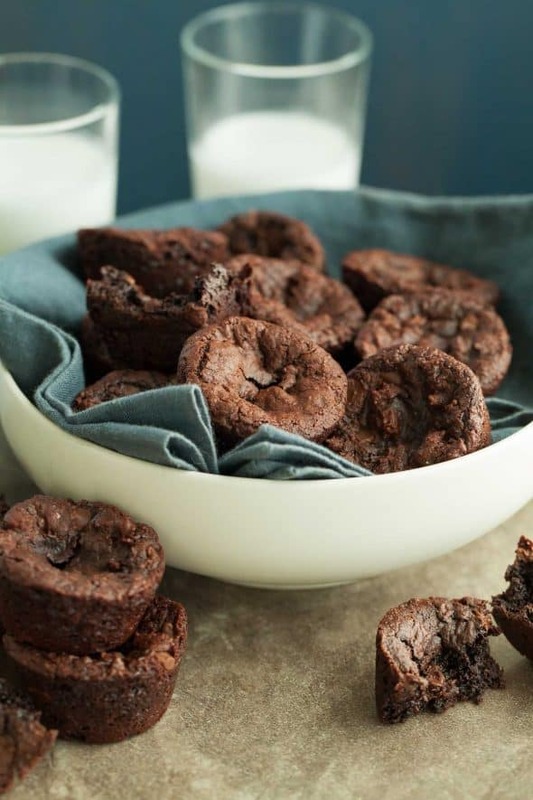 Using a small cookie dough scoop, scoop brownie batter into the muffin pan. Bake for 10-12 minutes, or until set around the edges and puffy in the center. Let the brownies cool 20 minutes in the pan (brownies will firm as they cool), then turn out onto a wire rack. Store in brownies at room temperature in an airtight container. What yummy little morsels! This recipe is a keeper! i am SO all over these...you're, resistance IS futile! 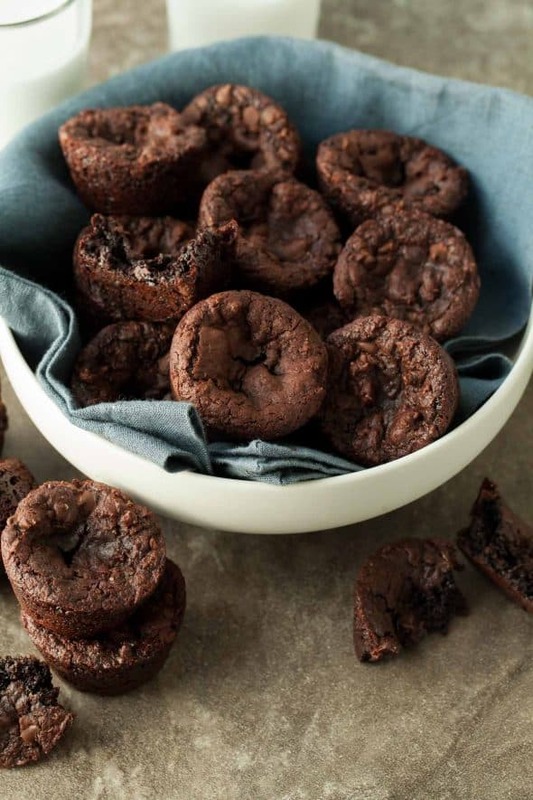 These mini brownies look so chocolatey and fudgy! YUM! These look addictive! Love sweet little bites like these. These look delightfully, deliciously wonderful!! Love the '2 bite' size. Definitely pinning to make asap!! I love the ingredients you've put together here! 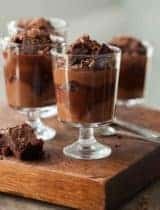 This is the perfect treat for when you need something sweet and delicious, but don't want to feel awful after indulging. Thanks for sharing! Glad to hear you enjoyed them, did you remember the almond butter? It's the secret ingredient to making these nice and chewy and yes they should freeze just fine!